The Borough of Wildwood Crest Police Department will hold a memorial service in honor of Officer Eugene J. Miglio III on Saturday, June 2 at 7 pm. The event will be held at Officer Miglio's memorial site at Miami Avenue & Bayview Drive. Officer Miglio died in the line of duty on June 2, 1995, when he suffered a fatal heart attack while struggling with a combative subject who was being placed into custody following a motor vehicle stop. 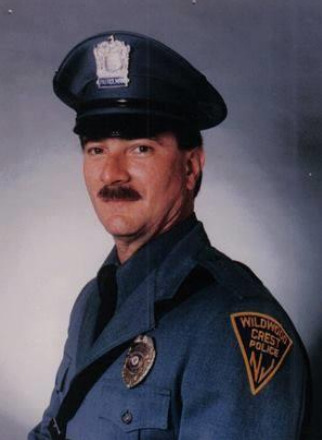 Officer Miglio served as a police officer in the Borough of Wildwood Crest for nearly 15 years. He was also a special undercover officer for a joint Federal Bureau of Investigation/Cape May County narcotics task force. The public is welcome to attend the memorial service. For further information, call the Wildwood Crest Police Department at 609-522-2456.